Last Chance To Visit The World of Dinosaurs in Orange County! Attention! Attention! Read all about it! 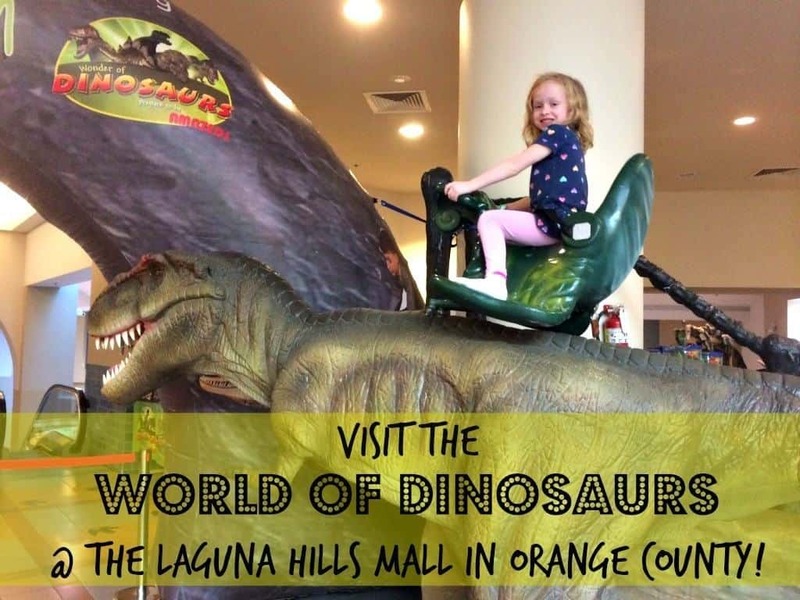 The World of Dinosaurs, which stomped into the Laguna Hills Mall in Orange County last spring, is closing on Monday, May 31! After a year-long adventure of fun and exploration, it is time for the dinosaurs to pack up and head home. But until May 31, you can continue to take a step back in time, and bring your budding paleontologist to experience over 100 robotic and static dinosaurs. Last spring, when my family and I visited the World of Dinosaurs, I thought that they might have a few rides and some games. It would make for a nice family outing and then we would head back home. Boy, was I wrong! Instead we spent over three hours at The World of Dinosaurs exploring America’s largest traveling dinosaur exhibition. 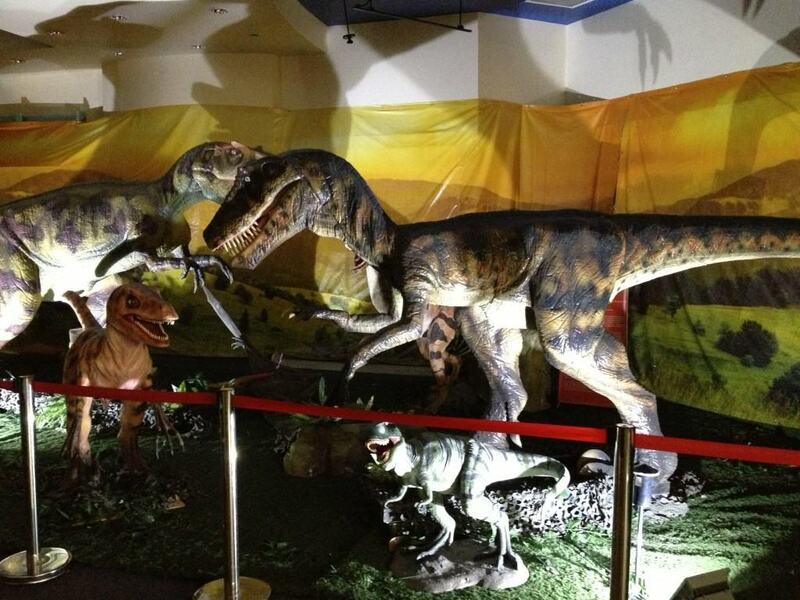 Each prehistoric display places the dinosaurs as they been found around the world with detailed scientific information. Outside of the Natural History Museum of Los Angeles, I think the World of Dinosaurs is one of the best dinosaur displays I have seen in recent years. It was very realistic and engaging for all ages. The exhibition and activity area for children ages 2-12 has more than just dinosaurs. 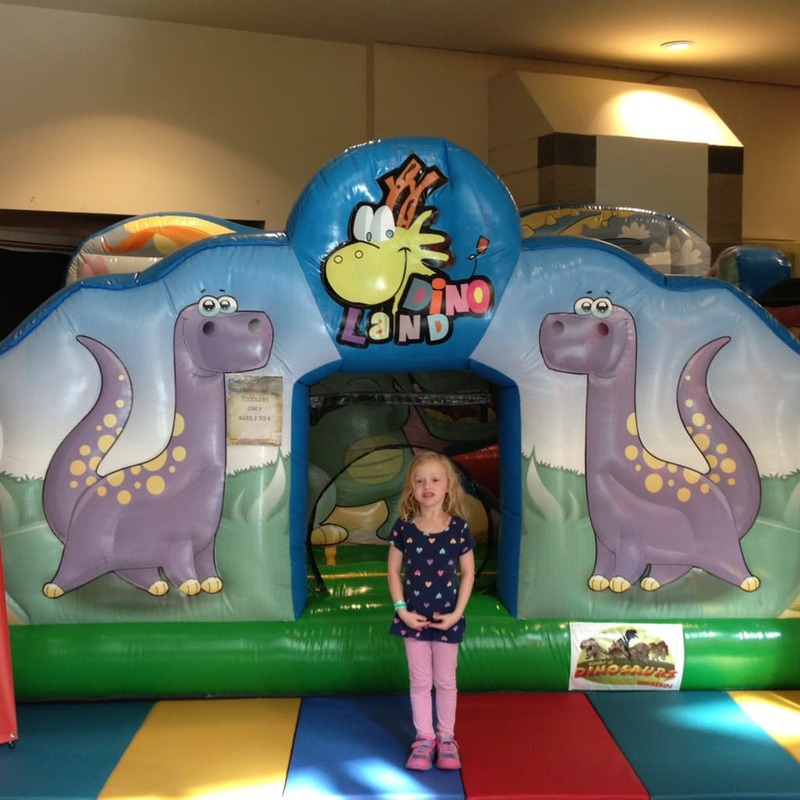 They also have dinosaur-themed bouncers. Plus dinosaur rides, face painting, a maze and a dinosaur dig for the little ones. 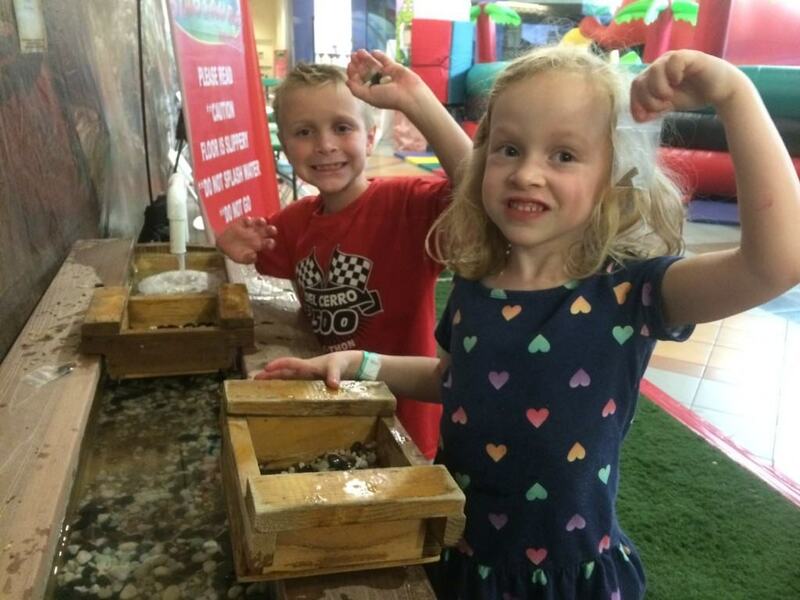 School Group Pricing – Offered weekdays only. Children Ages 2 through 12 ticket prices are $9.95. 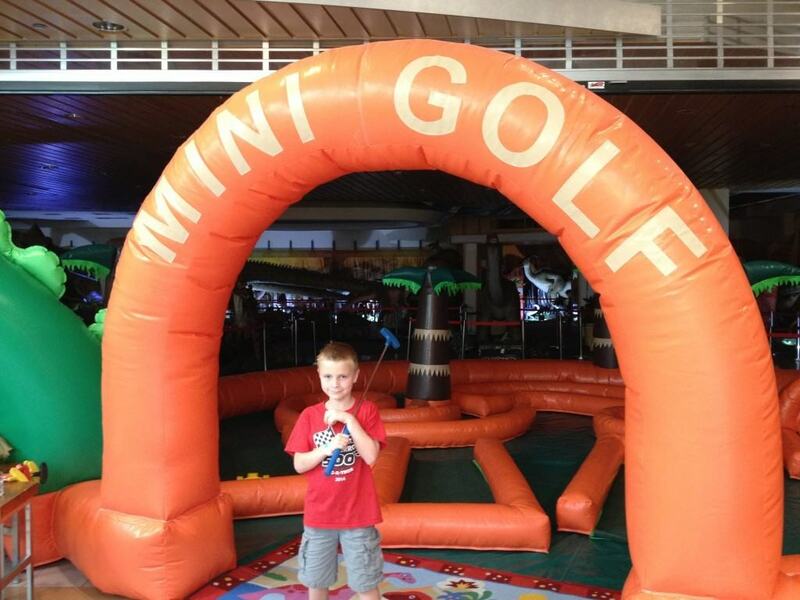 Minimum of 20 child tickets must be purchased to qualify. I had no idea thia was in our area. My three children will LOVE this, especially my 4 year old son! Thanks for keeping us informed on all the fun thjngs to do! You are very welcome! Your comment makes what I do worth it. Have fun! I thought so at first, but if you go during the week it is only a few bucks more than your typical bounce house and offers a lot more activities such as the electronic rides, the mini-golf course, panning for fossils (which elsewhere can be $6 or more) and the entire dinosaur exhibition. Plus you can stay as long as you want! When I have been to other bounce houses we only had a limited # of hours we could play before they closed down the bouncing session and moved in the next group of people. Perhaps it could be a special outing for a birthday too. My daughter is obsessed with dinosaurs right now! had no idea this was there! how cool! How fun! This seems like a good reason for making the trip all the way to Laguna Hills! Very cool trip!!! The kids look like they were having a blast!!! My daughter loves dinosaurs and this like a great event. Thank you for the article and chance to win. So awesome! My son loves dinosaurs! Would be great to win this for my family. This looks like so much fun, I can’t wait to take my little one there. I’m sure my son would have fun visiting the World of Dinosaurs. Neat! We were just talking about a dino dig. This looks like so much fun for the kids! My son loves dinosaurs, we have to go!